The Embrace bangle in pink. 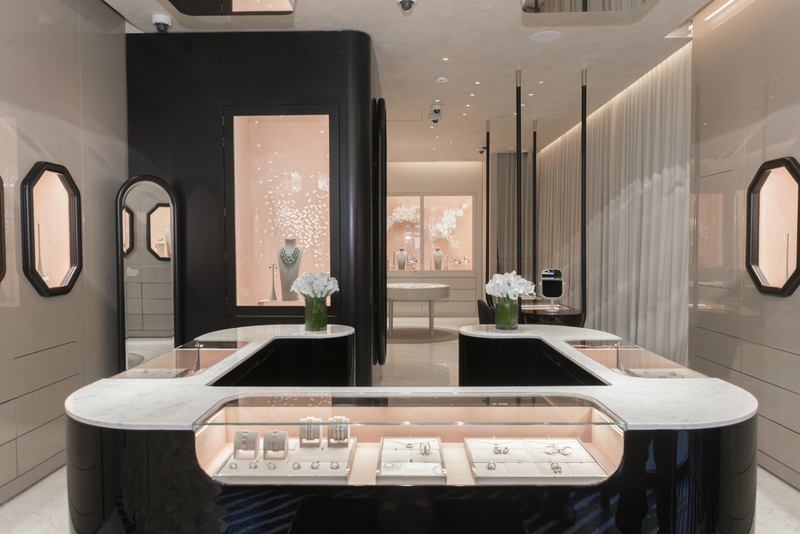 Architect and designer Jaime Hayon created the decor for Nirav Modi’s Madison Avenue location. 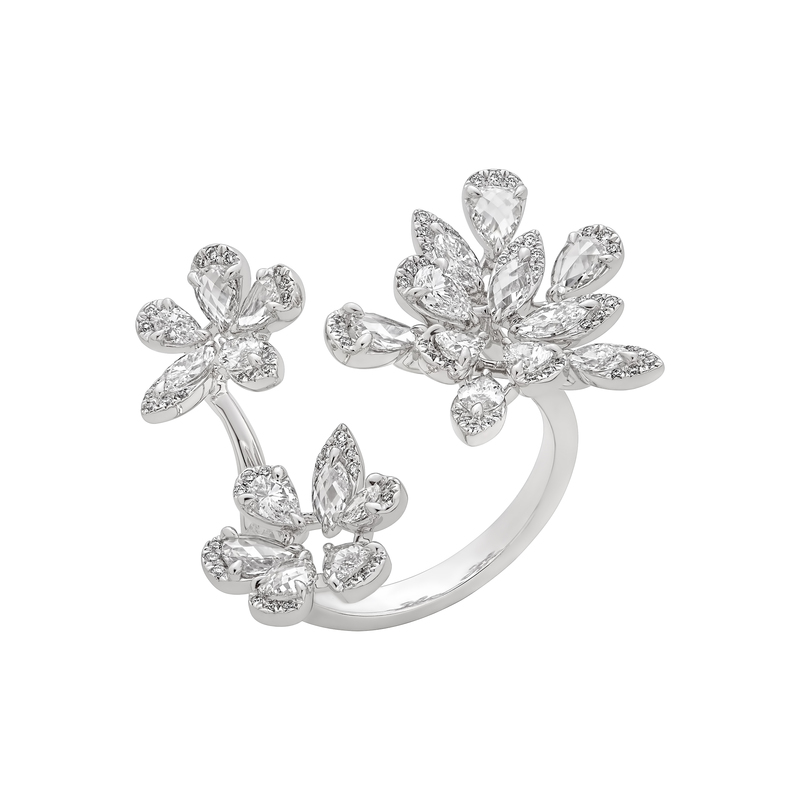 “We are very proud of the new boutique,” says Nirav Modi. A new luxury jeweller arrives on Madison Avenue. 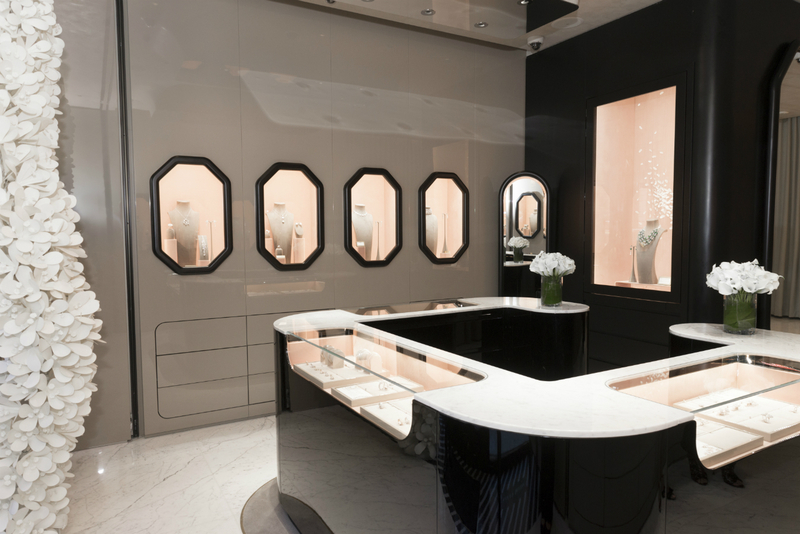 Luxury jeweller Nirav Modi opened his Madison Avenue store in style last month. Among the attendees at the grand reception were celebrities such as Golden Globe–nominated actress Naomi Watts, model Coco Rocha, and acclaimed Indian actress Nimrat Kaur, as well as members of the city’s illustrious elite. The Madison Avenue boutique is Modi’s fourth store (the others are located in Mumbai, Delhi, and Hong Kong). Its debut represents a key milestone in the growth strategy Modi set upon launching his business in 2010. But Modi’s early life experiences did more than impart business acumen; they influenced his aesthetic as well. “My mother is an interior designer and has both a refined eye and an appreciation for the arts. As a young boy growing up in Europe, we would often visit museums in the European capitals. My designs take inspiration from my European upbringing in Antwerp and my Indian heritage alike,” he says. Modi carved out a name for himself as jeweller when in 2010, his 12.29-carat Golconda diamond necklace was featured on the cover of the Christie’s auction catalog in Hong Kong—a personal coup, and a turning point in Modi’s career (the piece wound up selling for over $3-million). “The Christie’s sale was significant because it reinforced the long-term relationship with such a reputable auction house and their international clients,” says Modi, who was relatively unknown before the sale, India often being associated more with the production of cut-price diamonds as opposed to high-end jewellery. “The sourcing of the (Golconda) diamond is a true piece of history. The diamond comes from an Indian royal family. The pink diamonds surrounding it come from the famous Australian Argyle mine, which is reputed for the quality of these rare stones. I also used my patented Ainra links, made entirely of diamonds, to replace what would otherwise be gold links.” The necklace rests around the neck like a second skin without any visible metal. “It’s diamonds on diamonds,” he effuses. For the inaugural U.S. launch, Modi wanted to bring some of his signature pieces to Manhattan, including his creative, signature Embrace bangle which, he explains, “stretches to fit over the hand before springing back into shape.” A personal favourite for Modi, Embrace was inspired by his young daughter, who he observed wearing an elastic band on her wrist. “The stretch on the band inspired me to create a precious version of it,” he says. Made with over 700 assembled moving pieces, the bangle took nearly 6,000 hours to engineer—making a diamond bracelet seamless, clasp-less, and wonderfully stretchy requires innovation. Currently, Modi’s most acclaimed statement piece is the Maharani emerald necklace, inspired by the opulent maharaja necklaces worn by 19th-century Indian royals, which often featured rows of impressive gemstones connected by ornate clasps. “The traditional style was used as a springboard for the Maharani emerald necklace’s design, which was crafted to evoke the splendors of the past, yet convey a modern feel,” he says.